Hanoi (VNS/VNA) - Vietnam’s benchmark VN Index remained fragile on August 21, losing its positive momentum as investors remained cautious over the current market downtrend. 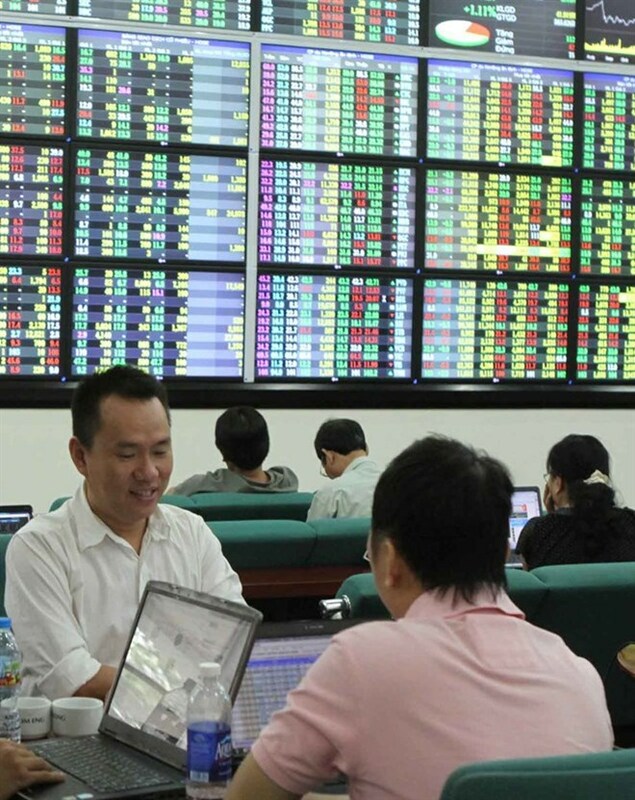 The benchmark index on the Ho Chi Minh Stock Exchange closed almost flat at 768.79 points. It finished last trading week at 768.97 points. Nearly 169.7 million shares were traded on the southern bourse, worth 3.34 trillion VND (148.7 million USD). August 21’s trading volume was 13.5 percent lower than that of August 18 while trading value increased slightly. Large-cap stocks were to blame for pulling the main exchange down on August 21 as half of the 30 largest companies by market capitalisation declined, causing the VN30 Index to fall nearly 0.1 percent. Decliners included freshly-listing VPBank (VPB), steel producer Hoa Phat Group (HPG), insurance-finance group Bao Viet Holdings (BVH) and property developer Novaland (NVL). Shares of brokerage firms were also negative. An Phat Securities Co (APG) was the only rising securities stock, which gained 0.3 percent while others saw their values decrease, including BIDV Securities (BSI), HCM City Securities (HCM) and Vietinbank Securities (CTS). Foreign investors remaining net sellers also worsened market sentiment, posting a net sell value of 58.6 billion VND, an increase of nearly 300 percent from August 18. According to securities firms, investor confidence has remained low over recent weeks as the stock market had performed weaker than it had in the first seven months of the year. Sai Gon-Hanoi Securities Co (SHS) wrote in its daily report that the VN Index recorded its sixth up-and-down session on August 21 with declining trading liquidity. While the VN Index has failed to surpass the level of 770 points, it has also remained below its upward trend line that was established in April and signals negative trading sessions ahead, Bao Viet Securities (BVSC) said in its note. The market conditions were negative as trading liquidity remained comparatively lower than the average of the previous 21 trading days while declining stocks outnumbered gaining ones, proving that investor sentiment was weak in general, BVSC said. Therefore, BVSC said the main market trend in the next few sessions would be negative while SHS said the VN Index would move narrowly between 762 points and 778 points.